Looking to get started with elementary CS education but not sure how? Sign-up for our inspiring, high-quality professional development workshops with experienced facilitators. Through our network of Regional Partners and generous grants from our donors, this workshop along with our course guide and curriculum are available at no cost to you or your school. Workshops last 6-8 hours and conclude with your own implementation plan to begin teaching CS Fundamentals. Look at the map below to find the next upcoming CS Fundamentals workshop in your region. 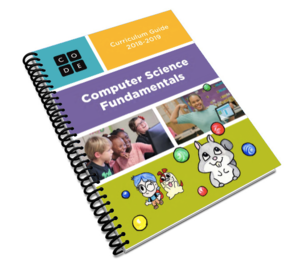 Workshops are available year round, because CS Fundamentals courses can be implemented at any point in the school year. No workshop on the map? If you can’t find a workshop above, and you’re in the U.S., contact your Regional Partner. They may already have a private workshop set up near your area that you can join, or can set up a workshop if they see enough demand. 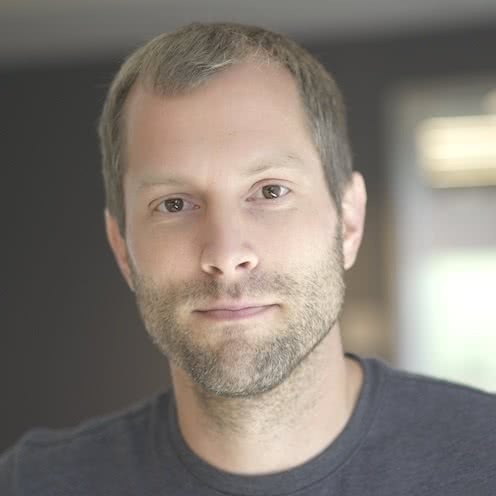 Regional Partners are organizations across the country who advocate for access to computer science education, act as a K-12 computer science hub for their region, and create a strong local community of computer science educators. Our Regional Partners are happy to work with you to organize a training at your school or district. In-person instruction from an experienced computer science facilitator. An intro to computer science and pedagogy. An overview of the online curriculum and teacher dashboard. A printed curriculum guide containing course lesson plans. Strategies for teaching "unplugged" classroom activities. 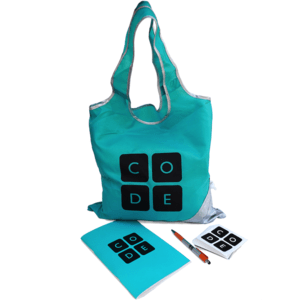 A bag of Code.org swag! Teachers love our professional learning! Join the over 80,000 teachers who have participated in our workshops. The majority of our workshop attendees rank it the best professional development ever. In fact, 98% of attendees would recommend our program to another teacher. "This will totally change my curriculum. I love how the lessons are prepared and aligned to the Common Core and Next Generation Science Standards." Can't attend a workshop, or outside of the United States? Unfortunately, we do not currently offer professional development workshops outside of the U.S. If you are outside of the U.S., or you are a U.S. teacher but cannot attend a workshop, you can take a look at our our self-paced online workshop to get started at no cost. And, the curriculum, lesson plans, tools, and support are also available at no cost worldwide. Join our forums to connect with other teachers for support, teaching tips, and best practices. Code.org and ISTE are partnering to expand teacher community and learning opportunities beyond Code.org’s professional learning. Through this partnership, we can offer a first time ISTE membership exclusively to Code.org teachers at the special price of $99 (regularly $125). Professional Learning Networks made up of peer experts, including computer science educators. 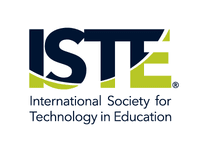 Hundreds of webinar and ISTE Conference & Expo recordings on coding and other edtech topics. Empowered Learner, ISTE’s print and online magazine for members covering the most important topics in edtech ($49 retail value). 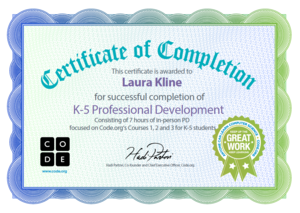 Code.org's Facilitator Development Program is a highly-selective professional learning program designed to prepare and support facilitators to deliver quality workshops on the CS Fundamentals curriculum. Help bring professional learning opportunities to your community by becoming a Code.org Facilitator!